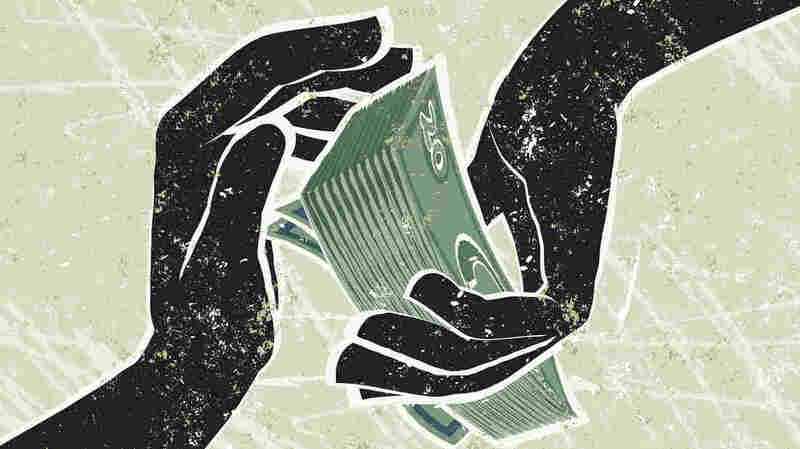 Walmart And Others Offer Workers Payday Loan Alternative When lower-income working Americans have an unexpected expense, many turn to high-cost loans and get in financial trouble. More employers are giving them a much cheaper way to get emergency cash. More companies are stepping in to help their workers with a much cheaper way to get some emergency cash than payday loans. 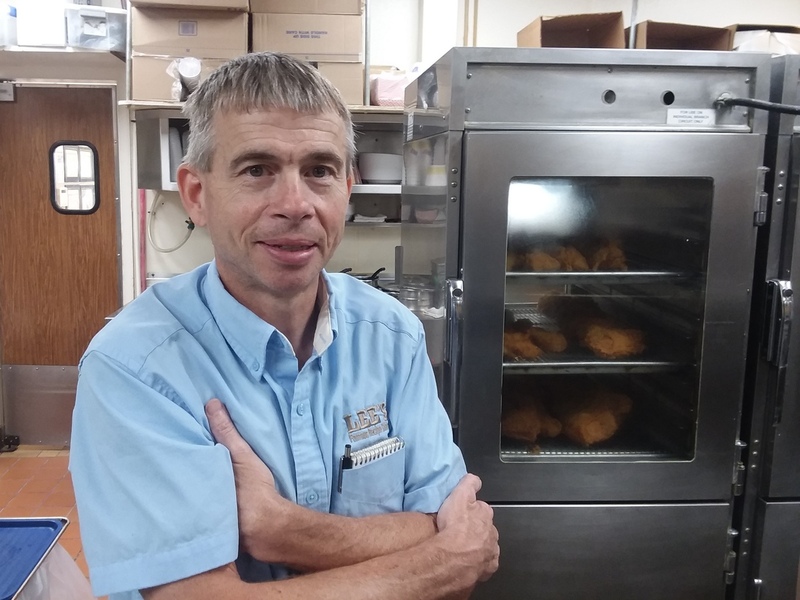 "This is where it all happens; this is kitchen here," says cook Keith Brown as he walks past the ovens and big bowls of flour at Lee's Famous Recipe Chicken in Richmond, Va. He and the crew are gearing up for the lunchtime rush. The restaurant owner, Henry Loving, noticed over the years that many of his workers here were getting burned. Not with fry oil, but by high-cost loans they would get stuck in. "You know, a lot of times the folks that I have working for me are tight on money and they'll go out and do payday loans or something like that," says Loving. "And by the time I get wind of it, it's too late and they're in all kinds of extra hard trouble trying to get that paid off." Henry Loving, owner of Lee's Famous Recipe Chicken in Richmond, Va., saw his workers getting hurt by high-cost payday loans, so he found them an alternative. Brown remembers how a few years ago, his brother was in the hospital and he needed to get to New York to see him. So he took out a high-interest-rate payday loan for $400. "I got the loan. But it kept me in the hole and I had to continue to get loans and maybe for about three or four months to pay it back," says Brown. He says by the time he finally paid all the money and interest back, "I end up paying double the money I had got. I actually paid about $900 back before it was over." Loving says sometimes he would lend employees money himself, just to help them get out from under these loans. "They are embarrassed to ask, but they'll come to me, and I mean otherwise they'll end up homeless or have to move out of state." So when Loving heard about a company called PayActiv, a tech startup that helps companies get their workers emergency cash for very small fees, "I thought to myself, now that's a good idea," he says. And he signed up. Safwan Shah, the founder and CEO of PayActiv, says the need out there is huge because so many Americans are paying very high fees and interest when they're short on cash. "Our data analysis showed that it was close to $150 a month being paid by the working poor — per employee or per hourly worker in this country," says Shah. "That's a substantial sum of money because it's about $1,800 or $2,000 a year." Shah also realized that often people don't need to borrow very much money. And he says that actually workers have usually already earned the cash they need because they have worked far enough into the pay period. They just haven't been paid yet. "And so we said the problem is really a between-paychecks problem," says Shah. His PayActiv company lets workers get access to that money they have already earned. So at many companies now — including Lee's Famous Recipe Chicken and the country's biggest private sector employer, Walmart — workers download an app to their phone. It's linked to PayActiv and to the payroll system of the employer. "So let's say they've already earned $900" by earning $100 a day for nine days, says Shah. But payroll is still five days away and they need the money right away. Shaw says they open the app and "they will see a number which is half of the amount they have earned that is accessible to them." So if they need $400 for a car repair or a trip to visit a sick brother, they tap a few buttons and the money gets zapped to their checking account or a prepaid card. And the fee is $5. (Some employers pay the fee or a portion of it.) And a lot of workers are deciding that's a much better option than getting stuck in a cycle of debt with costly payday loans. The app also has some creative ways to nudge employees to build up savings accounts so they're not chronically strapped for cash. The system uses some techniques rooted in behavioral economics. Shah says it asks workers to put, say, two hours of pay a week into savings, because workers respond better to that than to a dollar amount. Such tools are important, of course, because the problem companies like PayActiv are trying to address is not just one of workers not getting paid in time to pay some bills. It's a more complicated problem involving the difficulty so many Americans face of managing and staying on top of their finances amid all the other challenges of daily life. "Quite candidly, most of America is living paycheck to paycheck and that's not a socioeconomic problem, that's an American problem," says Daniel Eckert, a Walmart senior vice president. "That spans multiple socioeconomic classes whether you're an hourly associate or a management associate." He says Walmart's approach combines PayActiv's system with an app called Even that helps people better manage their money. "I really think it's game-changing," says Laura Scherler, the director of financial stability and success at the United Way. She says some other companies work with employers to offer workers actual loans — more than just an advance on hours they've already worked. Those get paid back over longer periods of time with interest. Consumer advocates say employers should be careful to make sure that their workers are getting a good deal. But Scherler says there are good lower-cost loan options. "There seems to be a couple of things coming together right now that makes this really exciting. 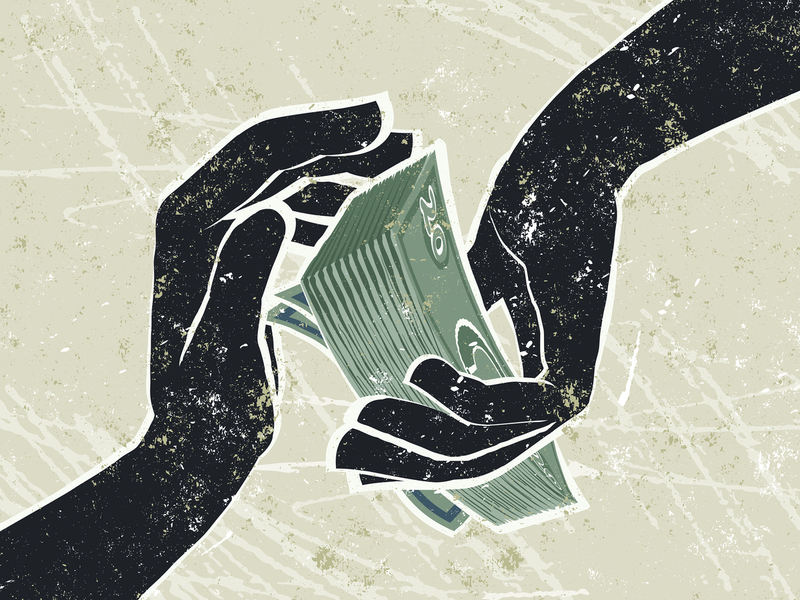 I think employers are increasingly aware that financial stress impacts their workers." And workers seem very aware of that too. More than 100 companies have now signed up with PayActiv. A Walmart executive says there has been an "extraordinary" response from employees. More than 200,000 Walmart workers are now using the system.